Every four years the United States holds an election for president. The major parties (Democrat and Republican) each choose a candidate. Both parties have a series of primary elections. These are contests between candidates in the same political party who are trying to get the nomination of that party. How primaries work varies from state to state. Not all states have primaries. Primaries do not take place on the same day, but happen over a period of months. The first one is usually in February. The final primary might not be until June. This is why our campaigns seem to go on forever. The voters choose between candidates when they are in the voting booth, but they are not actually voting directly for their choice. In reality, the candidate with the most votes wins delegates to send to his or her party’s convention. The delegates all go to their party’s convention where they nominate their choice. The conventions take place during the summer. Months before candidates start running (campaigning) in the primaries, they announce that they will run. This is because they need to start fundraising for their campaigns. This is another reason the process feels so long! 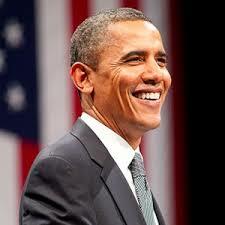 Things are a little simpler if the sitting (current) President is up for re-election. Our presidents can only be re-elected one time. President Obama, for example, cannot run again. However, back in 2012 when he decided to run again, no one else in the Democratic party came forward to contest his candidacy. For that election, only the Republicans had presidential primaries. Both parties still had conventions to formally nominate their candidates. Once each candidate has secured the nomination of his or her party, the candidates begin actively campaigning against each other until the election. The presidential election in the United States is mandated by law to occur between November 2nd and November 8th on a Tuesday. A lot of the rules for voting, even in a federal election, are set on a state-by-state basis. For example, some states allow early voting before Election Day or make it easy for people to mail in their ballots. If someone is going to be unable to get to his or her polling place on Election Day, he or she can get an absentee ballot. If the election is very close in a state, that state might need to wait until all the absentee ballots are counted before declaring a winner. When Americans go to cast their ballots on Election Day, they are not directly electing the candidate they choose. The candidates’ names appear on the ballot, but voters are actually electing delegates to the Electoral College. The Electoral College is a body of people selected in each state who directly vote for the president. The number of electors (delegates to the Electoral College) varies from state to state. It is based on the combined number of senate and congressional representatives of that state. For example, some small or sparsely populated states such as Vermont only have three electoral votes while large states such as California have many electoral votes. 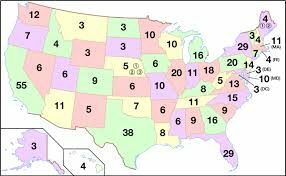 Map showing the number of electors by state. The electors are pledged to give all of their votes to the candidate chosen by the majority of people in their states. The total number of votes in the Electoral College is 538. A presidential candidate needs to win 270 electoral votes to win. In other words if 50.1% of voters in North Carolina go with Secretary Clinton in North Carolina, and 49.9% vote for Mr. Trump, then Clinton will win all 15 of North Carolina’s electoral votes. Usually, the candidate with the most electoral votes is also the winner of the popular vote. However, the electoral votes determine the winner. A candidate will lose the election if he or she wins the popular vote but loses the electoral vote. This has happened four times in US history. This is why some states with large populations are more important in the presidential race than other states. It’s all about the 538 votes in the Electoral College. Some largely populated states reliably vote for one party more than the other. Texas, for example, is likely to vote Republican while California is likely to vote Democratic. There are some states where the stakes are very high. These are largely populated states such as Ohio and Florida where it is difficult to predict whether the majority of votes will fall on the Democratic side, or on the Republican side. These states are called “swing states” because the voting could swing either way. Candidates or their surrogates spend a lot of time in these states. This year the race is very tight in many of the swing states. The poll numbers are shifting. For example, in Florida with 29 electoral votes at stake, the candidates have recently been in a dead heat (a tie). 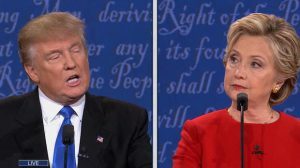 Nobody knows who will win Florida, but if Mr. Trump loses Florida it will be almost impossible for him to get the 270 electoral votes needed to defeat Mrs. Clinton. If Mrs. Clinton loses Florida, she might still have enough electoral votes to get to 270, but her margin of victory will be much more narrow. Given how polarized the country is, and how close the contest looks (especially in the swing states) it’s no wonder that this campaign is a real nail-biter!